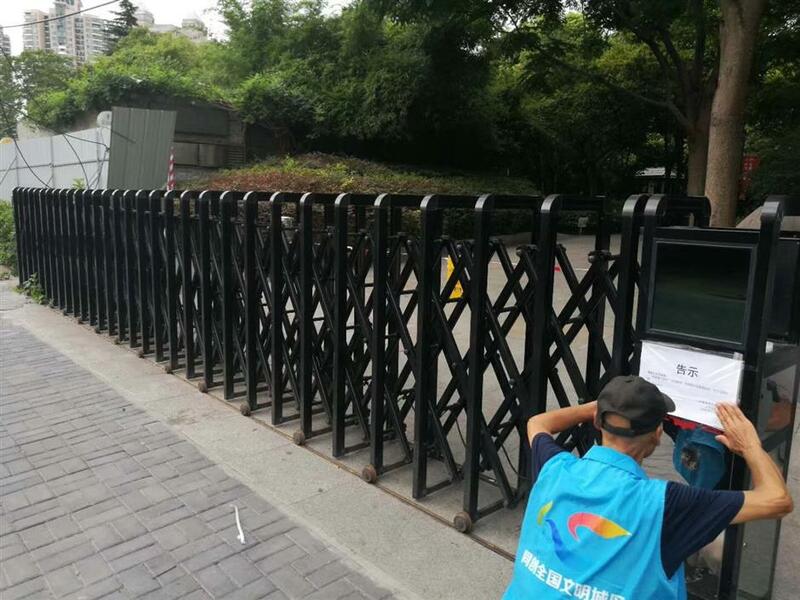 All parks across Shanghai have closed because of typhoon Ampil, the Shanghai Greenery and Public Sanitation Bureau announced on Sunday morning. A worker pastes notice on closure at the Jiuzi Park in Huangpu District. Open greenery spaces have been cordoned off, the bureau said, calling on people not to visit these areas to ensure safety. All sightseeing cruise tours on the Huangpu River have been canceled, and the Wusongkou International Cruise Terminal in Baoshan District has closed on Sunday with the docking of Quantum of the Seas and MSC Splendida rescheduled to Monday. More tourist attractions have announced they would close on Sunday. The Jinjiang Amusement Park in Minhang District will not open on Sunday with an outdoor activity canceled. The Shanghai Film Park and Shanghai Astronomical Museum, both in Songjiang District, will close on Sunday as well. The Shanghai Happy Valley and Playa Maya water park in Songjiang will cancel outdoor programs and performances. According to Shanghai Meteorological Bureau, typhoon Ampil is very likely to make landfall in Shanghai around Sunday noon. 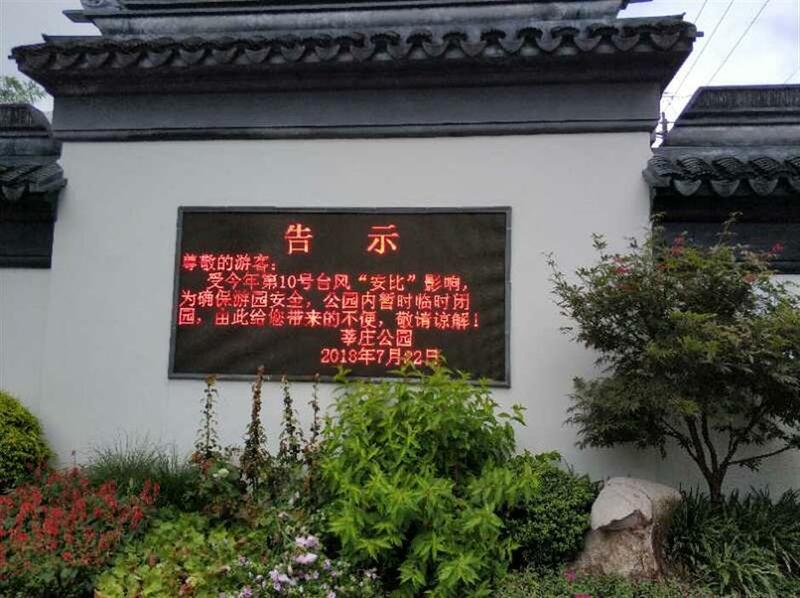 The Xinzhuang Park in Minhang District displays notice on closure.